The cork folder by Nomess is a practical collection map for paper and documents in A4 format. For the organization of the desk at home, in the office, the university or the school - all types of documents are easily organized and transported in the folder of Nomess. And everything will remain inside of it because the folder is closed with a rubber band, fixed at the corners of the folder. 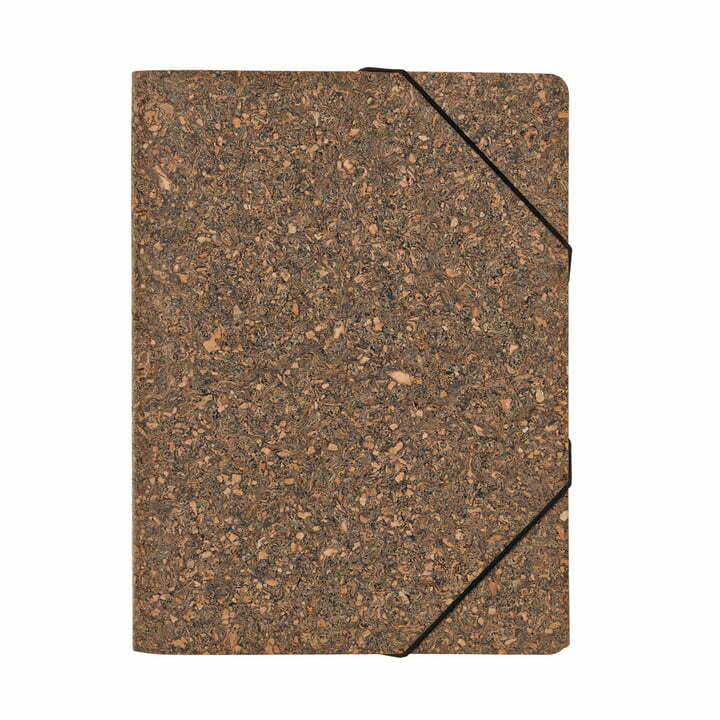 The Din A4 folder is made of a cork paper mix. This keeps the map robust and pleasantly soft. The mixed paper inside of it adds individual accents to the map. The Nomess folder is also available with coloured spots as Colour edition. Individual product image of the Cork Folder in DIN A4 format in the Root colour by Nomess. The folder is made of cork and paper and is suitable for organising documents in DIN A4 format or smaller.